An IT specialist from Cornwall has been recognised for his work with young people in the county. Mark Grice, managing director of Redfuse Internet, was awarded the Outstanding Education Business Partner award 2011 by Cornwall Learning Education Business Partnership (CLEBP). Grice picked up the award following the launch of the Redfuse Web Academy in 2009. Kate Whetter, CLEBP projects manager, said: “In 2009 Mark pioneered the Web Academy with Penair School. “This academic year, he ran another – this time with students at Bodmin College. 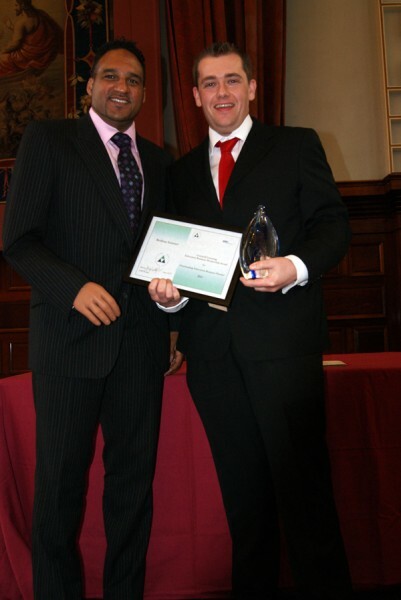 Grice was presented with his award by celebrity chef, Michael Caines, at a ceremony held at Plymouth Guildhall. Previous recipients of the award include Ginsters, Newquay Zoo, Worldwide Financial Planning and PFA Research. Next articleHotels lost in translation?